Growing vegetables from seed can be satisfying. However, it is important to plan ahead so that you don’t find that your hard work produces gluts and shortages. Knowing which vegetables to sow where, when and how means you can maintain constant supplies throughout the season. Most vegetables are grown from seed each year, except perennial crops such as asparagus, globe artichokes and rhubarb. Most months of the year, there are vegetables to be sown. The exceptions are December and January when you can plan for the season ahead. The method of sowing depends on which vegetables you want to grow. Some vegetables, carrots and parsnips for example, are sown outdoors, directly in their final positions. Still others, leeks for example, are grown outdoors and later planted to their final positions. Others are sown under cover or indoors for planting out in spring or for potting on and growing under glass. This be can be rewarding if you want to enjoy earlier crops or grow vegetables that need that extra protection. It is easiest to sow vegetable seeds in spring, summer and autumn into prepared beds where they will eventually be cropped. This is known as direct sowing. This is a good way to sow seed economically, since less thinning will be needed after the seeds germinate. Whether you are sowing in traditional rows or using the station sowing technique, it is important to thin seedlings so that the plants do not compete with each other for water, nutrients and light. See individual vegetable profiles for thinning distances. The growing season can be extended by making use of the warmer, protected environment inside greenhouses and tunnels, and to a lesser extent coldframes, cloches and fleece. Shop-bought seed composts will give more reliable germination than homemade composts. They will also be low in nutrients that are unnecessary for germinating seeds and be free of pests and diseases. Try to use fresh compost each year, as it deteriorates if stored. 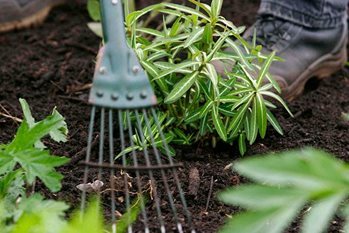 It’s best to use up any old compost along with fresh, in baskets or containers for more mature plants, rather than seedlings. Multiblock sowing is an efficient way of using small spaces and involves growing seeds in clusters. This gives a large number of ‘baby’ vegetables and is perfect for beetroot, chives, round carrots, leeks, parsley, spring and bulb onions and turnips. Many root, bulb or stem vegetables adapt well to this growing technique. Gardener designer, Jack Wallington, shares his techniques for planning your own kitchen garden and shows you how to start sowing seeds indoors. Sometimes seedlings will damp off if air circulation is inadequate or conditions are too humid or soggy. Sometimes sowings will fail to emerge, perhaps due to weather or poor quality seeds. There is usually an opportunity to resow with new seed, and if resowing can be done within two weeks, continuity of cropping won't be much disrupted.